Local legend says that Marquis Charles Cornwallis, Revolutionary War hero, rode into this area and declared, "How fair are these hills" and thus, Fairfield County was born. Fairfield County is a unique blend of tradition, culture, and history. Freedom-seekers, farmers, and religious folks came from the northern trails, while many aristocrats and plantation owners traveled from the coast. These citizens bred a unique and proud folk ranging from sturdy military men who protected their land during the American Revolution and the Civil War to educators who started well-known educational institutions and produced prominent military men and politicians who forever changed the world. Fairfield County is also known for its culture and music. Many recognized beauty queens, artists, musicians, and sports figures hail from this midland region of South Carolina. Dr. Virginia Schafer is a member of the Fairfield County and Blythewood Historical Societies. As a professional writer, she has focused her passion for history and genealogy into obtaining stories and photographs that portray the hardworking, creative, and unique citizens of this exceptional community. 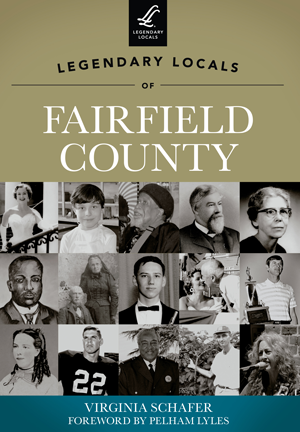 Foreword author Pelham Lyles is the director of the Fairfield Historical Museum.